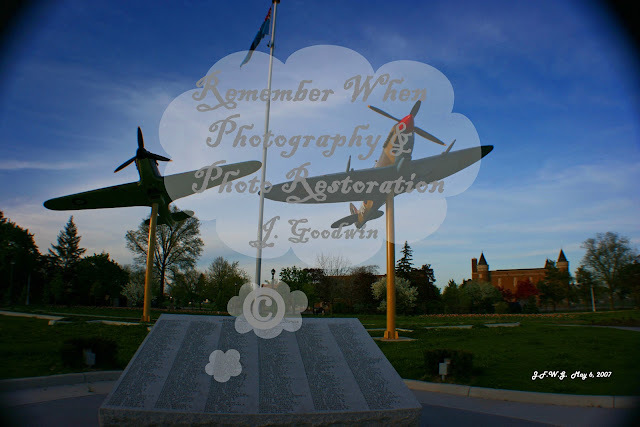 Here in the middle of Windsor we have a large public park with a Garden section, baseball fields, tennis courts, play ground equipment and two WWII fighter planes with memorial plaque to those men who gave their lives in service to their country. Here below is one of my favorite shots I took one night of them. A Spitfire and a Mustang. You can almost imagine they are doing a low level fly by. If you can take the poles out of the equation (LOL). I took these on May 6, 2007, the planes where up here about a year or two at the time and I had just gotten my camera. I had been itching to take some photo's of the new planes and so drove to the park just before sunset. From this front look you can see the memorial and in the back ground (beside the park) is the W.C. Kennedy Collegiate High School. (I graduated from there back in the mid 80's). From this angel you can see just over the memorial plaque and under the Planes themselves, that there is a cement curb in the shape of a large plane. You can also see it in the first photo. This is because a different plane use to reside in this spot for more years then I can remember. A Lancaster bomber from WWII use to sit on a giant cement pedestal on this very spot. When I was a kid and through out my teen age years (while attending Kennedy H.S. 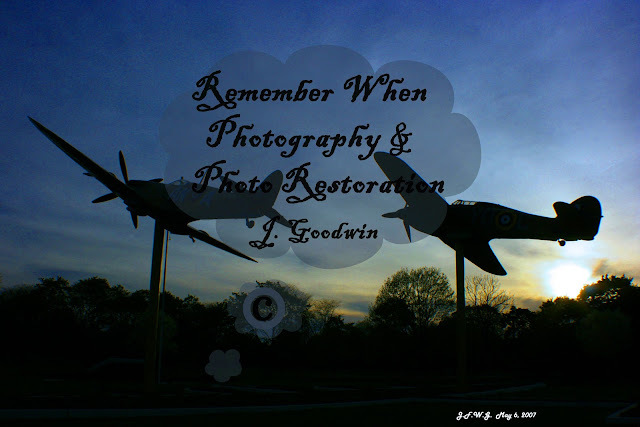 ), and for year before and after the Lancaster was a land mark of our park. Then a few years before the change to the fighters a group of concerned citizens formed a committee to save and restore the \Lancaster. The years of sitting out through the elements had taken a tole on the dear old plane. 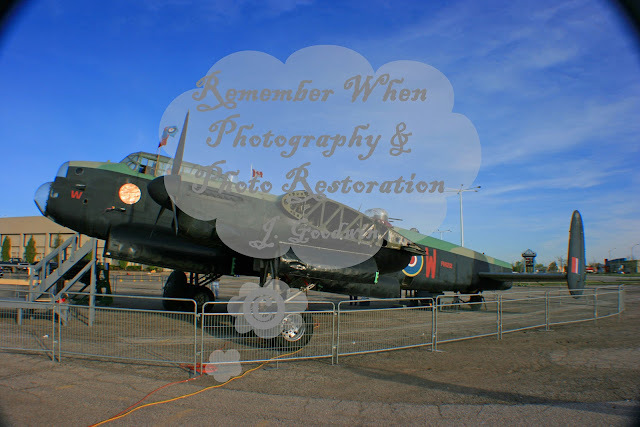 So it was taken down and moved to a hanger/museum at the Windsor Airport; where efforts are under way to restore her to flying capabilities. They then had the curbs put in with a garden and the current memorial above it. In order to help raise awareness of the restoration efforts and funds to help with said restoration they also towed her out from the airport after the restoration had started and parked her in the parking lot at the local mall. Where the plane was opened up for tours to the public for the first time. The wings were off of course to tow through the streets. You started by climbing the stairs up under the nose into the cockpit and through the center passing navigation and into the hold past the open bomb bay doors and out the back hatch on the other side. They had one of the engines on a block outside to view. The Bad Penny Lancaster Bomber. I took my kids through and I think I was more excited then they were. Mainly because I "Remember When...." I use to go to the park and see her there. My kid's never really did. they were to young and not as interested at that age. 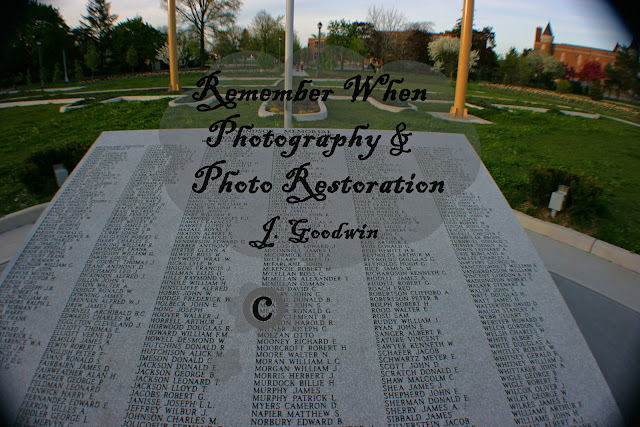 But I will never forget and the photo's will help me to continue to "Remember When...."